1 b&w; image taken in front of Police Department at Manzanar camp. 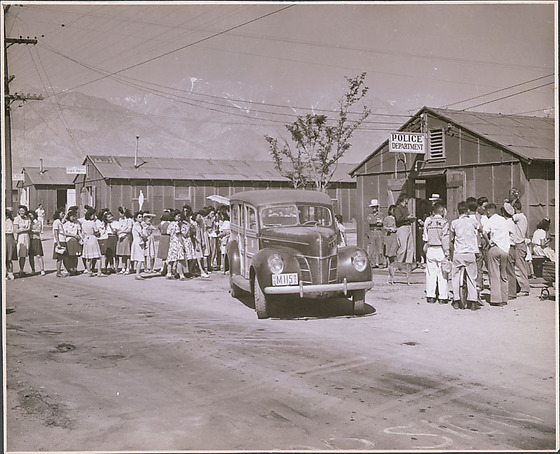 Automobile parked in front of police department in camp. License plate M115. Many people gathered around the police department. Other barracks in the background.